IBB Cyclery and Multisport: Toddler Strider Balance Bikes in stock! 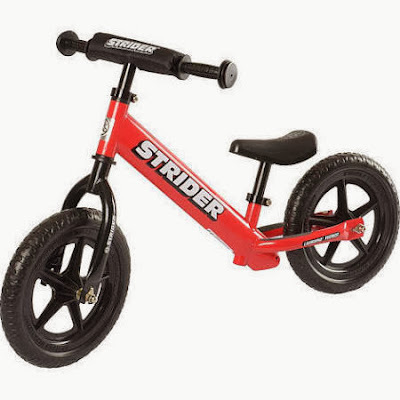 Toddler Strider Balance Bikes in stock! We just received a shipment of Strider Balance Bikes made for 18 months - 4 years. The brand new ST-4 model which has received several upgrades over the previous ST-2 and ST-3 models. These bikes are simple, yet extremely effective. Your toddler will learn how to balance at a young age, and likely forgo the need for training wheels when they graduate to pedal bikes. Our 2 1/2 year old daughter loves riding her Strider to and from the park. Don't forget a helmet and Strider Protective pad set for your little one. We stock those as well to keep your child safe while riding. They come in several color options including red (pictured below), pink, orange, yellow, blue, and green.